Saturn is the slowest moving planet in our solar system. In Sanskrit language its known as Shanay-char also. Shanay in Sanskrit means slow and Char means to move. As per Vedic astrology Saturn rules the direction West, its color is Black and dominates our old age. Saturn is significant for metal Iron, barren land, things buried deep into earth, oil and gas, natural calamities, accidents, surgeries, attack by a robber or thief, robbery and theft, stealing by servants or people working for you, all kind of hard wares, advance technology, space, airplanes, ships, cars and other mode of travel. Saturn is also significant for lawyers, judges, courts, fine by courts or government and controls isolation, separation and depression part of our life. As per Vedic astrology when Saturn enters the house earlier than the Moon sign, the Sadhe Sati or the 7 1/2 year cycle of Saturn starts. Why 7 1/2 years, because Saturn stays in one house or in the house earlier than Moon for about 2 1/2 years and then on top of Moon sign for another 2 1/2 years and then moves away from Moon sign or the house next to it and stays there for 2 1/2 years, so this transit of Saturn on and around Moon is better known as Saturn's Sadhe Sati. Since Saturn governs the law, it serves justice during this time and one has to pay for the blunders or mistakes committed earlier. In first part Saturn enters the house earlier than Moon or the 12th house. 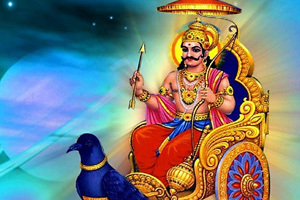 In Vedic astrology, the 12th house is significant for expenses or losses, so if Saturn is adversely placed in the chart, it can cause losses or expenses through all areas mentioned earlier, for an example one may buy expensive cars beyond one's means, buy bigger property, get involved in litigation and may have to spend lots of money on lawyers hoping to win or may be falsely implicated in crime he never actually committed. May have to travel more than usual and get no results out of them or stretch his limits, borrow lots of money and buys a gas station.